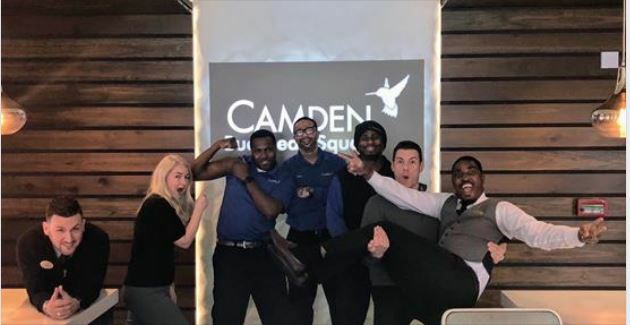 We all know that Camden Apartments offer a great place to live with our first-class amenities and amazing locations, but what truly makes Camden great is our customer-focused employees. We spend a lot of time finding the right people to make up our strong, close-knit teams that will take care of our residents and have fun together in the process. This is part of why Camden Property Trust has been on the Great Places to Work List for over 10 years in a row and why our employees give their work experience rave reviews on GlassDoor. Noe Pineda has been with Camden for over three years. He began his Camden journey as a resident at Camden Peachtree City. 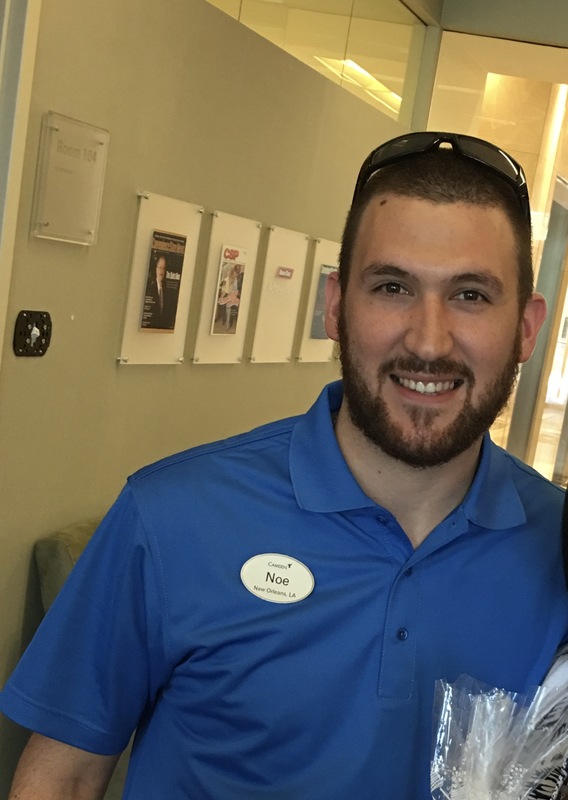 He loved living at Camden so much that he decided to join our team and a Leasing Consultant. Within his first year, he advanced to an Assistant Manager before eventually taking on a Community Manager role at one of Camden's newest communities in Atlanta, Camden Buckhead Square. What has made Camden different compared to your previous employers? Camden’s culture exceeds all others for sure! Here at Camden, you can truly be yourself. There is not a day that goes by that I don’t enjoy what I do every day. When did you know Camden was a good fit for you? I have known Camden was a great fit from my first day at my community. I was welcomed by my peers and leadership alike into the Camden family. What is your favorite part of your day at work? As the Community Manager at Camden Buckhead Square, my favorite part of the day is motivating my team to be successful in everything that they do We want to create a wonderful place to live for all of our residents. What is your favorite memory so far with your team? What is your favorite memory so far with your residents? I love interacting with all our residents., I consider myself a people person and I love to get to know everyone who lives at Camden Buckhead Square. I want to know how school is going, what type of coffee the like and how their favorite sports team is doing. What advice would you give to someone applying to work for Camden? Go for it! You will love working at Camden. Why should people want to work at Camden versus other companies? Simple, we are the best of the best. At Camden, you can build relationships, grow your career and most important, have fun. Which Camden Value resonates most with you and why? Every Camden value is an important part of my day to day actions. If I had to choose, "Have Fun" is my favorite. In my time with Camden, I have had the best time, but have been challenged as well. If you don’t have fun, how will you be able to enjoy what you do? There are many opportunities across the country for you to join our team. Check to see if there is any Camden careers openings near you. I can’t wait for you to join the family and see why Camden has been named to Fortune’s 100 Best Companies to Work for over 10 years in a row!